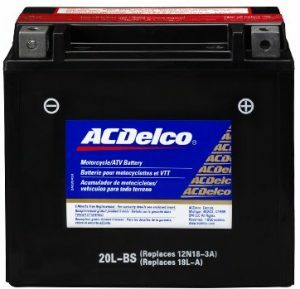 ACDelco is one of the most popular battery brands. More commonly an automotive battery company, will these function in marine applications? 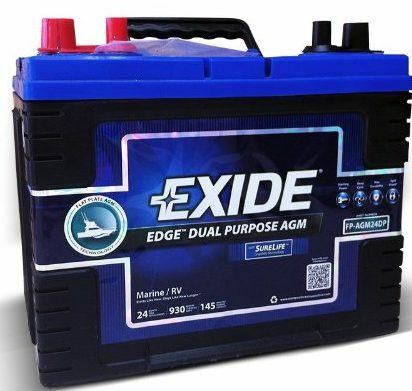 To answer, read our in-depth ACDelco marine battery review. Is the ACDelco Marine A Maintainer? We get the question a lot whether ACDelco marine battery is a maintainer or not, you must understand that a maintainer is a charger, not the battery. Although a seemingly obvious answer, this is a very common question. If you want a battery that is able to handle a lot of abuse or downtime when not in use; the Delco marine battery is more than capable. It means that you can leave it off the charger for an extended period of time, without having to worry about having a trickle charger attached to it. This is better than having to worry about charging your battery when you know that you will not be going out on the water for another couple weeks or even months. This is a valid concern with other batteries that do not have a long, maintenance free shelf life. 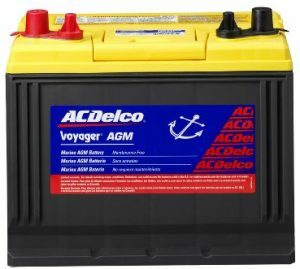 Is The ACDelco Marine Battery Worth It? With a Delco marine starter battery, you can enjoy the best of both worlds. You will find a long shelf life and ample starting power, even after repeated starts. 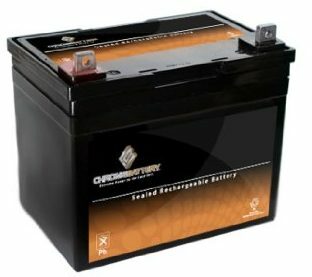 This makes the ACDelco brand battery very much worth the money as it means that you will not have to replace your battery as often. 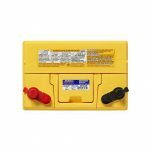 To give you a better idea of the batteries that are available you should read the individual reviews below. 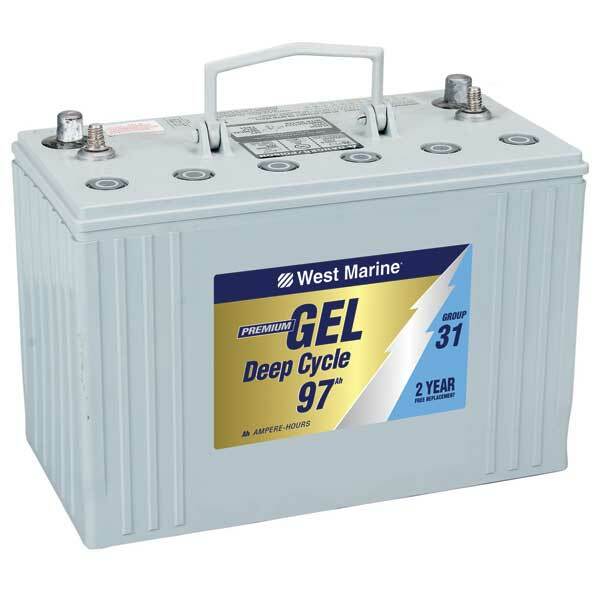 The Delco voyager marine battery is a maintenance free battery that will never spill or leak. It gives you deep cycle performance and higher cranking amps than you may expect. 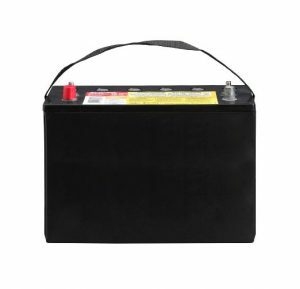 It also has a lower self-discharge rate than other batteries so that you are not going to lose your charge during off season periods as quickly as other batteries. 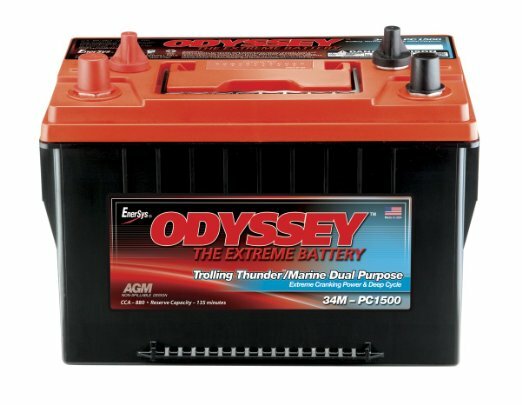 This battery is ideal for jet skis and other smaller motorized vehicles, but it does have a long shelf life in comparison to other small batteries. It is spill proof and you will not have to worry about water loss. It is completely maintenance free. This battery has the vibration protection as other batteries and two times a greater cycling and protection against the heavy strain that comes from frequent startups. It can also hold a charge if you go without firing it up for a long period of time. If it does lose its charge, it will recharge faster than standard flooded batteries and it is puncture resistant.